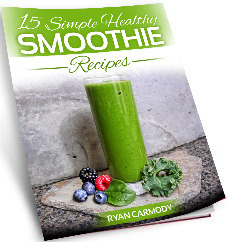 This is my first foray into a new category on my site I’m calling Beyond Smoothies. After six years of focusing on smoothies, it’s time I write about other areas of health and wellness. Beyond Smoothies is for anyone interested in the complete picture of health and wellness. If you are only interested in smoothies, no worries, the 250+ smoothie recipes and related articles aren’t going anywhere. Are you not exercising as much as you know you should be? I haven’t been. As my life has gotten busier and busier I’ve gotten away from a regular workout routine. Time to change that.